The end of the year brought with it the end of an era…the time of teaching at home in my cozy little studio is over. Zoning prohibitions and cranky neighbors combined to force some changes. As I faced the roadblock, I had a choice of how to deal with it. I could stop teaching, but I love my students and relish our little art tribe, so that was not an acceptable option. I could fight the community zoning and rail against the folks who complained about my teaching at home, but I don’t want to spend my energy dealing with negativity. I needed to pivot and try to move around the roadblock. However, no obvious solution was there. What happened? Beautiful things happened! 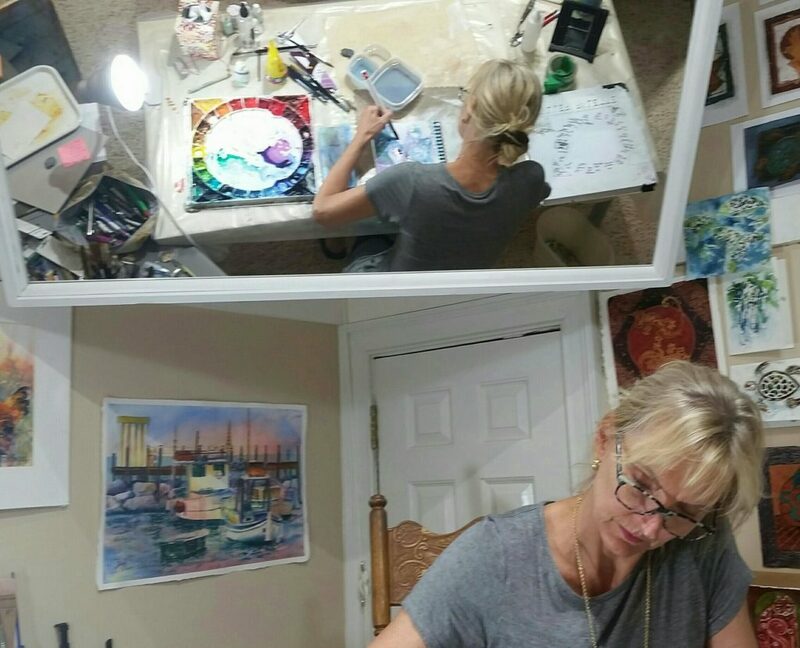 Friends offered me the use of their studios…what a gift! I received all kinds of encouragement and support from fellow artists, students, neighbors, and even those outside the art community. How wonderful is that?!. But wait, it gets even better! A Studio Partner- Someone with whom I could share space and maybe even collaborate. Where this ideal place might be was a mystery, but I decided to declare my dream to the world. I did so via social media and kept talking about it to everyone I could. I believe in the power of declaring your dreams and visualizing your goals. 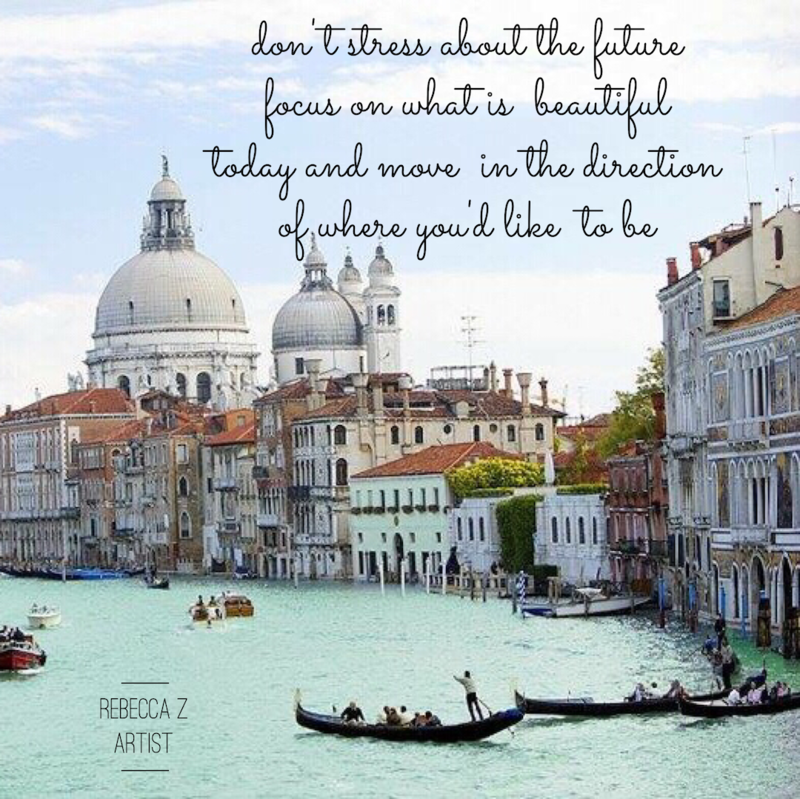 That’s why setting goals and day dreaming are routine parts of my process…in art and in life. The New Year rolled around, and the heavens actually answered my cry 💫 Along came a brand new opportunity to rent a studio and share it (for at least a little while) with a talented and sweet fellow artist! How immediate, and how miraculous does that seem???!!! After investigating this studio and what it has to offer, guess what? The space meets every one of my ideals for a dream studio! Miracles do happen folks!! I can’t wait to show it to you in person…but first I have to move in!! (Located in Restaurant Row south of the Waterway Hills Golf Course and across from Thoroughbreds restaurant. The class schedule may change in February, so stay tuned to my newzletter, blog, Instagram and Facebook posts for updates. I hope to be sharing pictures of the new space very soon. Let me know if you’ve had similar experiences with inviting solutions to your problems through prayer and invitation. I love sharing our stories. 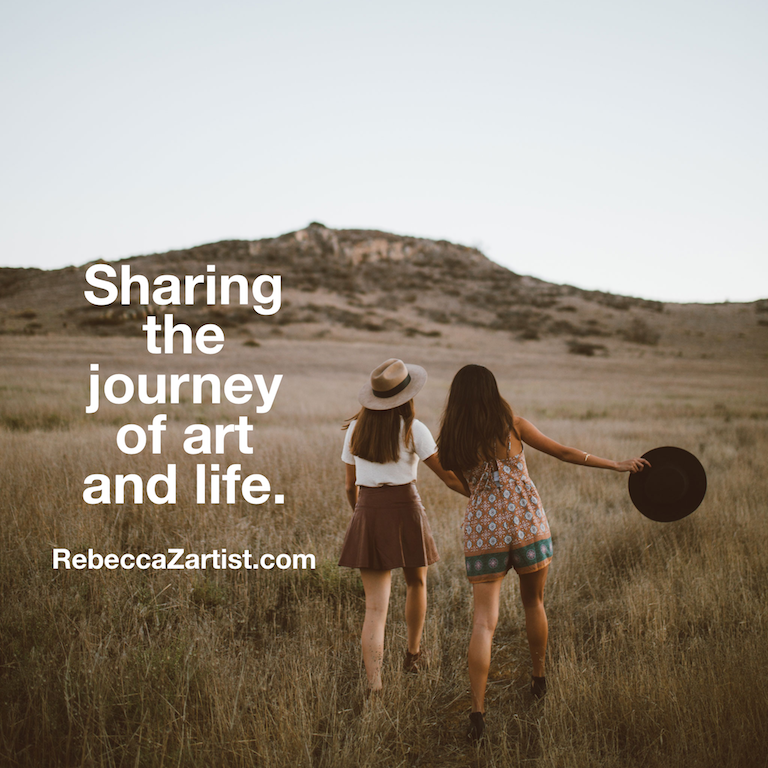 Sharing the journey of life and art. Congratulations on finding a great teaching venue. Good things happen to good people. See you next Wednesday. Fantastic! This is exciting! I have watched the universe provide for years! I am always amazed by the power of miracles! Hope this all works out beautifully and I am sure it will! Friends in art and life, kimberly grigg! I am thrilled and very happy for you. Good things happen to good people!